Hiram House prides itself on its consistent level of excellence and valuable programming. However, decades of use by active children had taken its toll on the facilities. 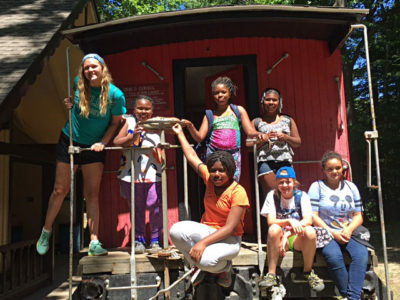 A long-term solution was ultimately needed to meet rising demand of current and future programs to provide campers with the quality facilities they deserve. Hiram House has had extensive discussions and forums with parents, children and teachers to identify these needs and the means to satisfy them, today and into the future. Feedback from Hiram House clients enabled the camp to create a vision for the next 50+ years. A variety of options were considered to help Hiram House continue to fulfill its mission and meet the needs of the children we serve. A Master Plan was developed to identify several needs for new or renovated facilities for The Hiram House. The Master Plan makes creative use of as much of the property as possible to reduce the density and intensity of development in the core of the site, which was originally designed for single-purpose activity. The redesign enables the site to accommodate several different groups simultaneously. 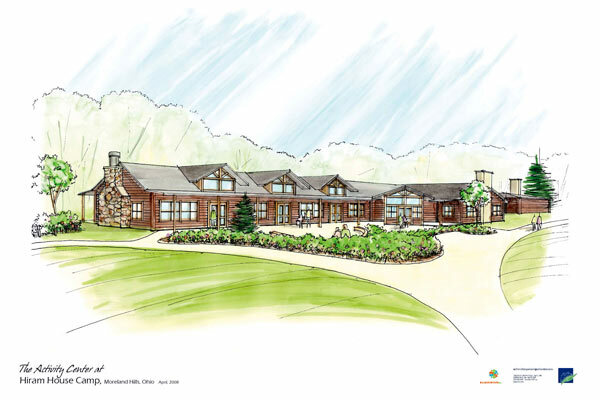 The renovations, alterations and additions are intended to enable Hiram House to fulfill its vision to continue to be a quality overnight and day camp in the summer, and an effective, flexible camp and retreat center to serve all ages year round. Recommendations in the Master Plan and the camp’s current limitations prompted the Board of Trustees to commence a multiyear capital campaign. The purpose of the campaign is to provide funds to renovate the existing structures and to build new facilities. The Hiram House Board of Trustees has set a multi-million dollar goal to meet these needs. However, facilities most critical to the immediate future of the camp are being funded first and will be completed in phases. 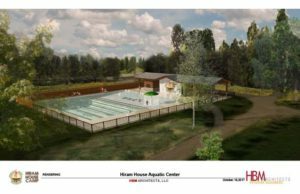 A new aquatic center willl replace the current fifty-year old one, including a new swimming pool, with zero grade entrance, and new water elements, such as splash pads, slide, sprayground, plus a new pool house, with restrooms and dressing areas. Dining Center – The new dining center is a priority facility, in the hub of the central campus, with capacity to serve 350 campers and staff. 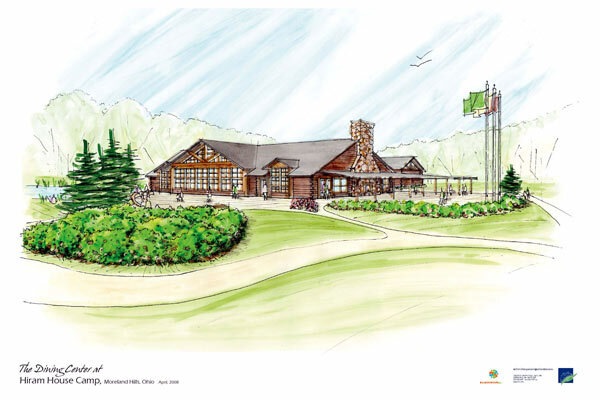 To include a main dining hall that can be divided for smaller groups, staff dining room, restrooms that will also serve the commons, pack out room, new kitchen facility, fireplace and a large patio gathering area in front. To serve as both the anchor to the new Pioneer Circle and as the focal point for arriving guests. 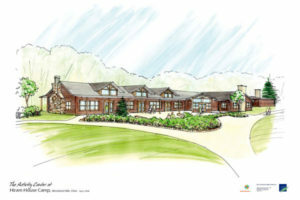 Center will be constructed primarily of logs to continue theme established by the log cabins. Exterior space will connect to the pond below the dining center for beauty, water studies and outdoor activities. Additional renovation of the existing dining hall to convert it to a multi-purpose program and activity center, incorporating an interactive science and environmental learning center, a central assembly hall, classrooms for programming, self-service kitchen area for groups, program offices, staff lounge, and an arts, music and drama center. Other planned updates to specialized program facilities and support areas include the caboose/train station, archery range, firehouse, chapel and teepee and ranch village outposts for older campers and specialty groups.